3. Leafs bad trade day? what the heck does this have to do with minnows? Well here it is another useless poll. I think the leafs had as good of a deadline day as any other, better than most considering they came out of it with more draft picks. I just hope to hell they finish in the bottom 5 so they have a chance in the lottery for the first draft pick. Woulda been nice to get a second first round pick though. I gotta say I'll miss belak's intensity, and for a minimun salary he actually played a role and was good at it. I love the CementHead Role. what the heck is a walter? if your talking about pickeral, then shiners in my opinion. not sure what these walleyes, or walters are, pretty sure there an american fish! Way too many variables to answer. oh yah forgot about dace. as for the sly comment about whats a walter. everytime I call them pickeral on a forum I get raked over the coals even though thats what I have called them forever. I figure walter is a good alternative somewhere between the stuck Walleye and the back woods pickeral. Well, in general I like golden shiners for walleye, but that might change depending on the waterbody. Smaller ones in the 2-3" size for spring and bigger ones in the 4-6" range for fall. Maybe the leafs should have traded Wade B for some 6" shiners instead of a 5th round pick. I have had good luck with golden shiners, chubs, and even suckers for pickeral AKA walleye. I haven`t used small minnows in years, emerald shiner are great bait but way too small, even the bigger ones. 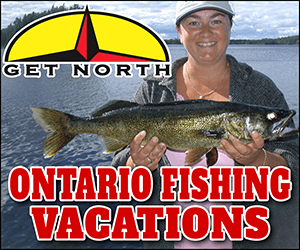 Any where from 4 to 8 inch is a good size for walleye, tip a jig like a fuzzy grub with them, a swimming jig with a stinger hook, make your own the tiny ones most places sell seem worthless. Also used a slip bobber with a big bait for them. Suckers work great on Erie, haven`t had much success with them any where else for anything. I like them all, I usually use mixed chubs 3-6" untill late fall I switch to big shiners, they die to quick in warm water, dead minnows are great too but it's good when they stay alive a little longer. Wasn't Walter a rainbow trout? I thought Walter was Wayne's dad. Dace! what kind of Poll is that! 1) Depends on the body of water. In moving water I will use shiners because the die so quickly and the running water adds some movement to them. In the still water/hard water I will use suckers or muddlers, they will live forever. 3) I am glad to see that the Leafs finally recognized that it was time to rebuild. This is the first time in a long time we did not receive a rental player nor did we give up any draft picks. We actually got some!!! So, in my humble estimation, I think the Leafs had a good trade deadline day. Emeralds have never let me down. Hooked just behind the dorsal fin, ALONGside the spine, never across it, they will last all day..sometimes even go back in the bucket for the next day. A Pickeral is just like a Walleye... only smaller. The red sided dace were always my favorite as well but they are a protected spiecies now so I guess its golden shinners for me now. Glen, always nice to see other people let you hold their walleye! Ya got it "bass ackwards" Paul, other people want to hold my Wall-ice... one plumber in particular comes to mind. Walter was the big trout being pursued by Henry Fonda's character in the movie "On Golden Pond". Not sure what kind of trout it was. Maybe I'm just usin the wrong name as they're still sold as bait in the store as Red striped Dace...does that change anything? Millions of them in the lake.. Just did a google and they're actually called Redbelly Dace. Jim at the store calls them red striped. LOL Glen, can`t expect plumbers to catch wallice, too busy checking their plumbing? the real red dace are protected now, but the others are not..I can't tell the difference but if they sell them they must be ok.. According to Doug Stange in my just received yesterday Walleye Insider, we should not be using minnows for Walleye at all! He claims that due to advances in plastics and changes in the way pro's fish walleye, they aren't needed. 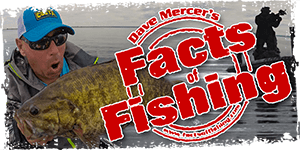 He goes on to say that most Walleye fisherman fish too slow and are missing out on the aggressive bite, by finessing live bait at in-active fish. Also, he argues that live bait increases mortality among walleye's as the are typically deep hooked using live bait. Personally, the first time in the last ten years that I've put on a minnow fishin for eyes was a couple of weekends past, ice fishin at Bernie's. Old school I guess!